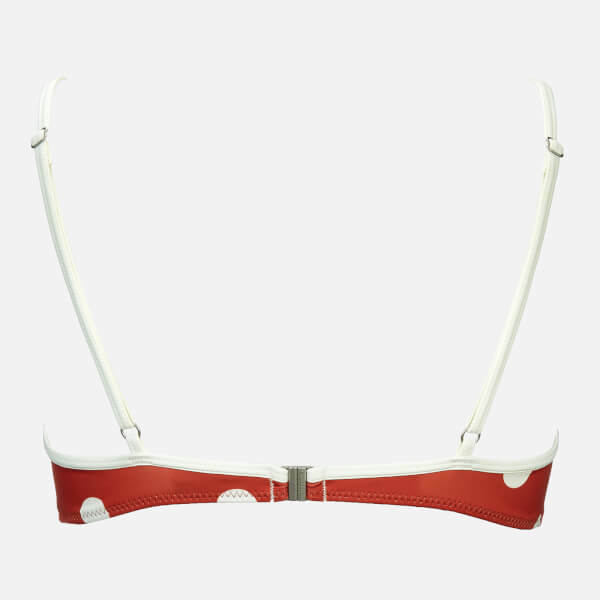 'The Brigitte' bikini top from Solid & Striped arrives in burnt orange with a contrasting cream polka dot pattern for a retro aesthetic. Designed with triangular wrap-style cups and slim, adjustable shoulder straps. A silver-toned metal clasp closure with engraved logo branding features to the back. Complete with bust darts. Lined.